Last year was a bust when it came to my Christmas baking. I tried a saltine English toffee recipe from Pinterest, and the butter separated from the sugar. I tried to make my grandma’s molasses spritz and found out nobody really liked them anyway. Our house was full of sugary confections that nobody wanted to eat...well, nobody except me. Yeesh. This year I vowed to make at least one recipe my husband would actually like and that I could be proud to add to the selection of Christmas goodies at family gatherings. Armed with new recipes from Pinterest and an old standby, I set out to create treats worthy of a cookie exchange. It was a success. C “helped” by standing on chairs, banging measuring cups on the counter, watching the mixer, and taking long naps so Mommy could be more efficient. Simultaneously I smile and cringe at the thought of next year perhaps tackling sugar cookies together. Those might not make it to an exchange, but we’ll have some good memories. 2. Mix all ingredients together until blended well. 3. 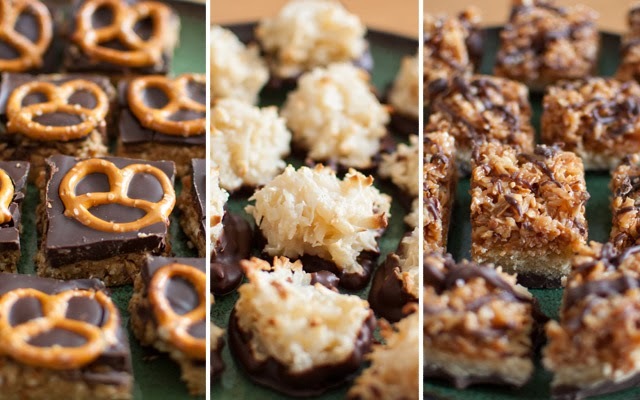 Drop by tablespoon onto cookie sheets lined with parchment paper. 4. Bake 12-15 min. or until coconut is toasted. 5. 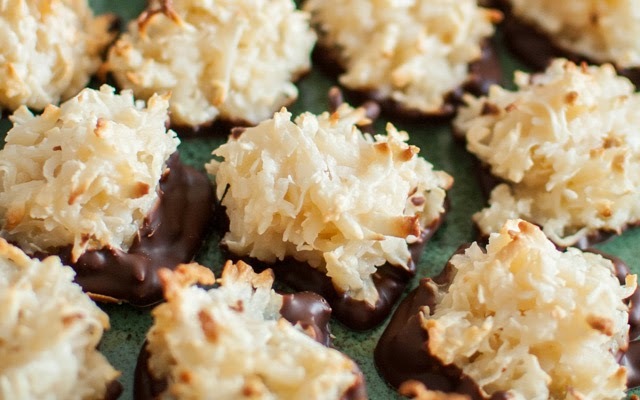 Dip cooled macaroons into melted chocolate chips for a tasty finish.